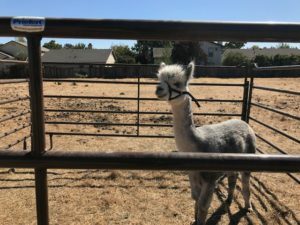 The events of the past few weeks have forever transformed most of us who own animals in the Napa Valley. 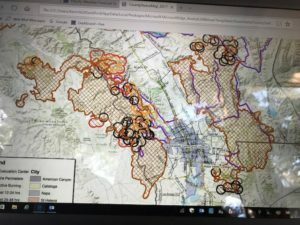 This was the second fire storm in two years that created a run for your life scenario, with little opportunity to enact well laid disaster plans. Our thoughts and care go out to those who lost loved ones and homes in the fires. 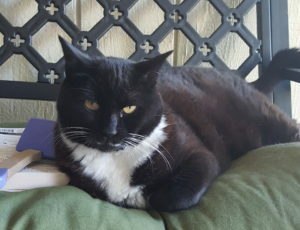 We are here for the recovery phase and ready to support those of you who are seeking long-term shelter or supplies for your animals while you recover from this enormous loss. 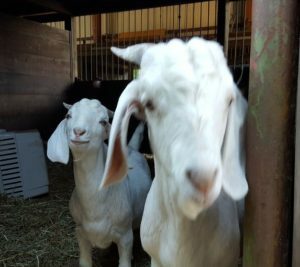 Now, as nearly all our sheltered animals have either returned home or moved to long-term boarding or foster homes, we turn our sights to recovery efforts and start with our first round of thanks. We wish to thank the First Responders for their incredible acts of bravery and their focus on safety. In the face of extreme danger, they managed door to door evacuations that saved countless lives. We can only imagine the decisions they had to make as they worked tirelessly to control the fires. 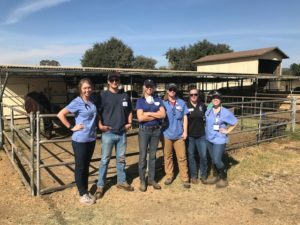 A huge thank you to the Napa County Office of Emergency Services, the Napa County Animal Shelter, and Napa County Animal Control, who laid the foundation for a successful integration of Napa CART within the County’s broader disaster plan and response. 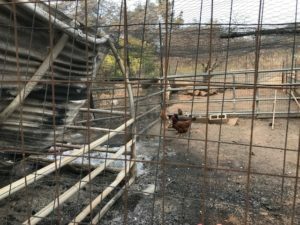 We are incredibly fortunate to have the leadership of these organizations in Napa County, and the lessons learned from the Valley Fire paid off, as we all worked together seamlessly to address the animal component of this disaster. 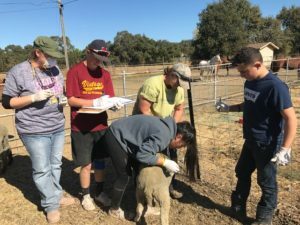 A special thank you as well to both North Valley Animal Disaster Group of Chico and Jameson Animal Rescue Ranch of St. Helena. NVADG not only trained our leadership team, but also shared their templates for successful disaster response. 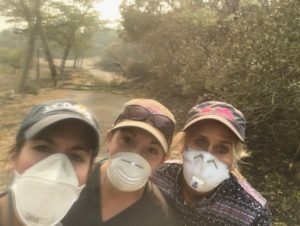 Their actions in the Valley Fire were the initial inspiration for Napa CART to organize, and they have continued to be supportive and instructive as we navigated this disaster. 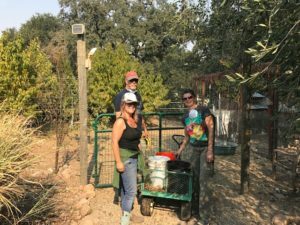 JARR has been our Fiscal Sponsor during this early formation stage of our organization, allowing us to secure much-needed donations supporting Napa CART’s operations. care to more advanced, referred cases. 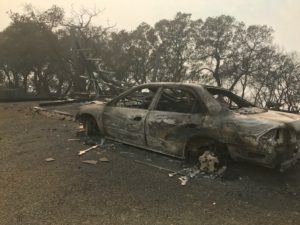 For many days after the start of the fires, the majority of the valley had no cell or landline services. 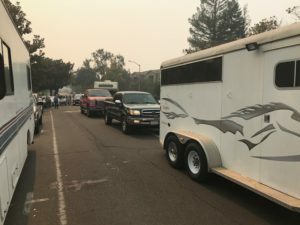 We extend our sincere gratitude to the Mount Diablo Amateur Radio Club who established a base station at NVHA, and provided invaluable communication with our field teams as they worked behind the evacuation lines. 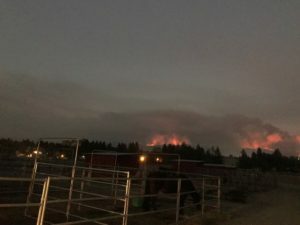 The Napa Valley Horsemen’s Association, Valley Brook Equestrian Center, and the Vintage Farm opened their doors in the middle of the night to take in hundreds of horses and other hooved animals. 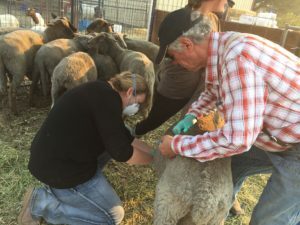 These facilities went on to provide skilled care and biosecurity to monitor and attend to the needs of the many animals who were suffering from stress, smoke inhalation and other fire related maladies. These evacuation centers saved lives, not only of the animals sheltered there but also by enabling animal owners to leave their homes, confident in knowing their animals were safe. A special thank you to Mark Evans and his team at Napa Valley Horsemen’s Association for their incredible leadership, to Devon Day, Laura Cameron and all the entire VBEC client community who welcomed the scores of horse evacuees to their beautiful facility, and to Gaul Cully and Dori Pettigrew, volunteers at the Solano Fairgrounds facility who tirelessly coordinated with us at that sheltering site. 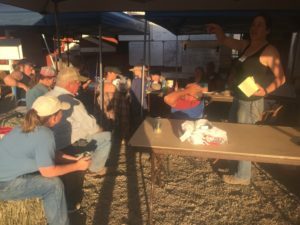 Sunrise Horse Rescue played a diverse role in all aspects of the response, with their amazing volunteer base. 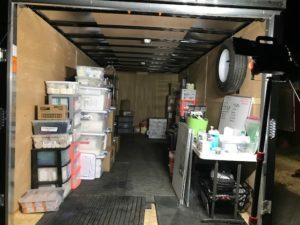 The Napa CART evacuation team and volunteer haulers responded in the middle of the night and staged in northern Napa at the request of Napa County Dispatch. 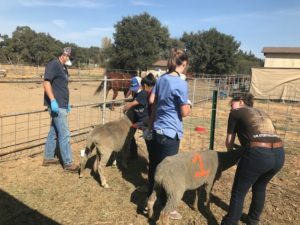 This troop of experienced haulers moved hundreds of horses as an extension of Napa County’s response. 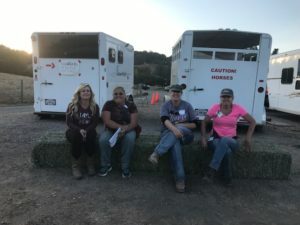 A special thanks to Megan Van Coutren of Napa Valley Equine and Colleen Hallett of Jump for Joy Equestrian for their incredible efforts to coordinate the successful evacuation of several hundred horses. 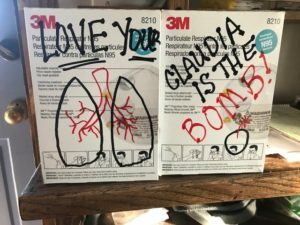 The evacuation response was a true success story in the midst of tragedy. 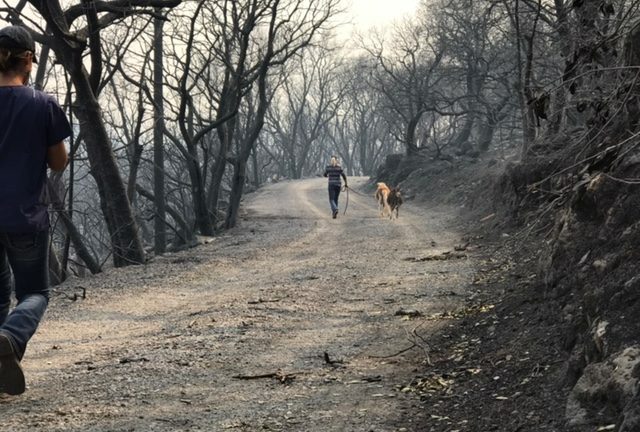 We thank PG&E, Davey Tree Company and the other service crews working in the evacuation zones for alerting us to animals they saw in evacuated areas who were in need of care and feeding. There are many more people to thank, including our individual volunteers and donors, and we look forward to an opportunity to do so in the coming days. We will also debrief with our team, using what we have learned to plan for the next disaster. 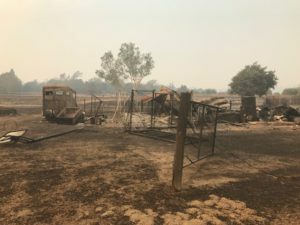 It is hard to imagine that we could face a larger challenge than the Central LNU Complex fires, but if the last two years serve as a harbinger of what’s to come, we have our work cut out for us. In the meantime, we hope all of you find comfort in the tremendous community response that was a product of your individual efforts. Our volunteers exceeded our expectations and demonstrated incredible generosity and skill.